Occupational Accident Insurance is essentially a form of on-the-job accident insurance for independent contractors, owner-operators, or those operating in jurisdictions where workers compensation insurance is not state mandated (ie. Texas). In general, occupational accident insurance is designed to supplement Worker’s Compensation coverage for losses resulting from serious accidents. Occupational Accident Insurance provides accident benefits for medical expenses, disability, accidental death and dismemberment. In recent years, the term “occupational accident” has been expanded to include job-related long-term exposure to hazardous substances that result in occupational diseases, and such emotional injuries as nervous breakdowns and even heart attacks. Therefore, occupational accident insurance can cover some or all occupational related diseases or injuries – physical, mental or emotional. Some carriers of occupational accident insurance can increase coverage to include non-job-related accidents, felonious assault, paralysis, seat belt use, air bag equipped vehicle, severe burns and passenger accidents. 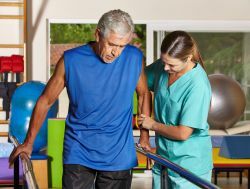 Once again it should be noted that occupational accident insurance is not a true substitute for Workers’ Compensation coverage and will not be regarded as such by the government entities that regulate worker’s compensation insurance. Unlike workers’ compensation, which covers employees, occupational accident policies provide coverage for independent contractors. Workers’ compensation, paid by the employer, is mandated in most states; occupational accident coverage, which is purchased by the independent contractor through the company, is not. As occupational accidents account for over 95% of occupational disabilities, many business owners find occupational accident insurance an essential factor in their risk management insurance programs. Though most states mandate workers compensation insurance, Texas is the rare exception. Texas is the only state that does not require an employer to provide statutory worker’s compensation for work related injuries or illnesses. Instead, Texas allows employers to opt out of the state workers compensation program and self-fund with Occupational Accident Insurance. This is called “non-subscription.” Non-subscription has a number of benefits for those choosing to opt out of workers compensation insurance including: cost reduction, increased flexibility, improved healthcare, improved safety and care and better relations with higher productivity. Non-Subscription policies enable this by providing businesses owners with more choice in the policies they offer their independent contractors and, in Texas, their employees. One of the biggest area s of Occupational Accident Insurance relates to truckers. The trucking industry depends heavily on owner-operators who own their own rigs and lease their services to motor carriers. As independent contractors these individuals would not be covered by a business’s workers compensation insurance. Truckers Occupational Accident Insurance makes sense for motor carriers and the independent owner-operators who contract them. 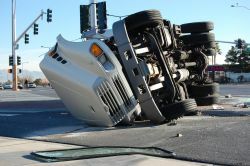 Truckers have specific risks associated with the performance of their job. Motor carriers that do not provide an occupational accident program for their contractors run the greatest exposure to expensive lawsuits brought by these employees or contractors in the event of a serious injury. At GGIS we are experts at helping to create the perfect occupational accident insurance policy for your business. We’ll analyze your needs and risks alongside your budget and determine the right combination of coverage’s for you. We provide your business with easy-to-understand, cost-effective occupational accident insurance solutions customized to reflect both your business needs and industry standards. Our goal is to protect our client’s assets and shareholder value. Our risk management and loss mitigation services complement our clients on a local, national and international level. We’re here to help protect your business. Contact us today for more information about occupational accident insurance coverage.